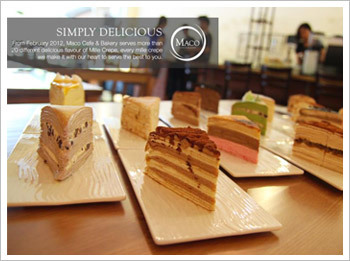 Maco Cafe & Bakery serves more than 20 different delicious flavor of Mille Crepe. Limited flavor for everyday, we serve our best to you. Do not miss it!